This Bra Top by BP Designs is super cute and so sassy! Pair this bra with the matching BP Designs Brief for a perfect outfit. The Amanda Leotard by BP Designs is so sassy, yet elegant! It features mesh that drapes over the front and back. Be a unicorn in a field full of horses with our Unicorn Tank Leotard by BP Designs! This high neck leotard is elegant with a cute keyhole accent and print. 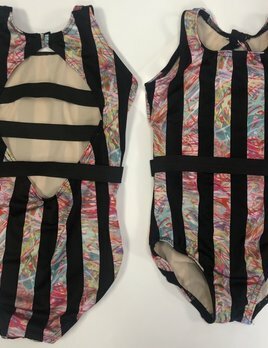 This 3/4 sleeve leotard has a beautiful print on the sleeves and on the back. 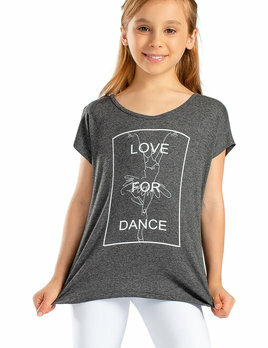 This top has "Love For Dance" printed on the front and a fun strappy design on the back! This leotard is our original BP Designs Lauren Leotard in a fun new print! This is a limited edition leotard that is selling out fast, so get yours today. 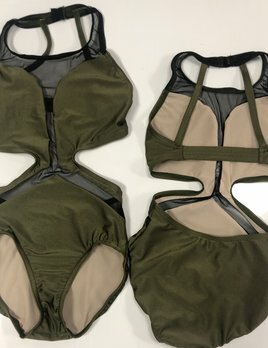 Our Michelle leotard, one our fan favorites, made in the color olive! This looks amazing on all skin tones. Be one of the few that get this limited edition leo! Once it's gone, it's gone! Get this limited edition Caroline leotard in a fun new print- Blue Leopard! There are only a few left of this leo, so get it while you can! 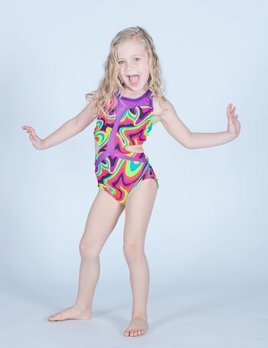 Child sublimated print dance top. Perfect way to stand out in class! Elegant and poise, dance into the season with a sophisticated lace scoop neck and back.